WIAD-FM Honors Fallen Heroes | Broadcast Public Service: Local Stations. Big Impact. Cumulus Media’s WMAL-AM Washington D.C. collected a record amount of $350,000 during the station’s annual Radiothon. The two-day event benefited the Fisher House. Over the past 11 years, WMAL listeners have donated more than $4.5 million for the charity. 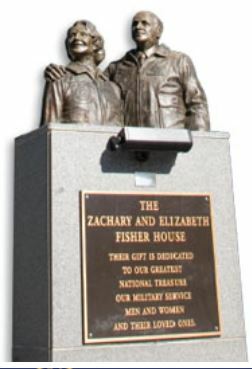 Fisher House supports wounded warriors and their families. There are more than 50 locations across the country that provide these heroes’ families with housing as their loved ones recover.